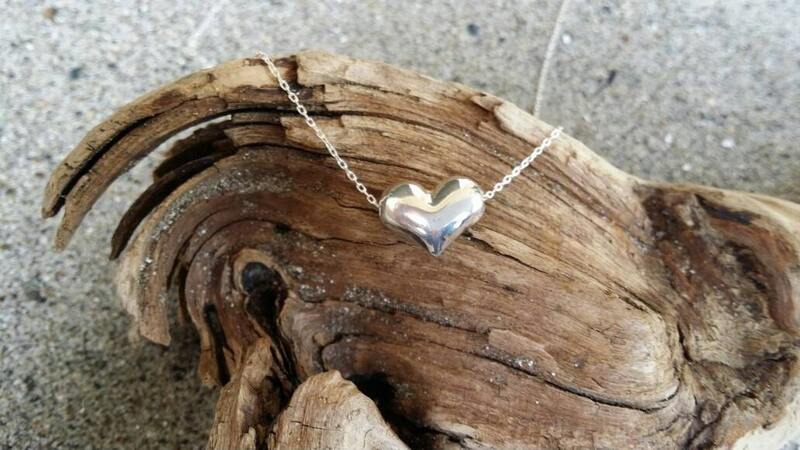 Sterling silver puffed heart necklace. 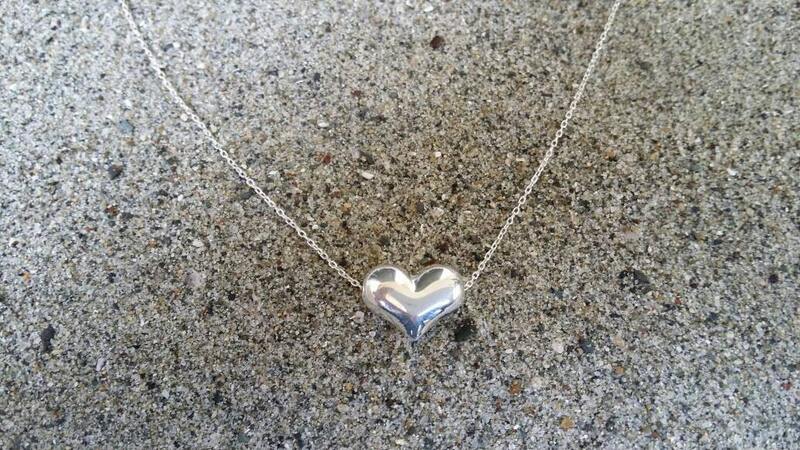 Perfect gift for a loved one! 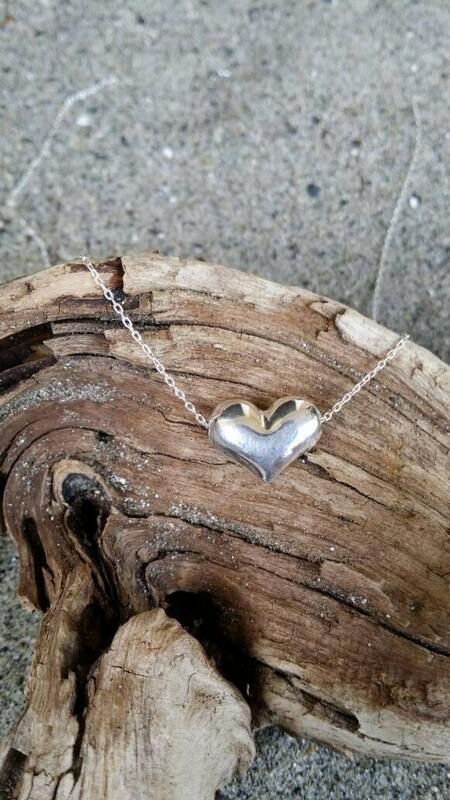 This pretty sterling silver heart has a hole on each side with a delicate sterling silver chain running through. 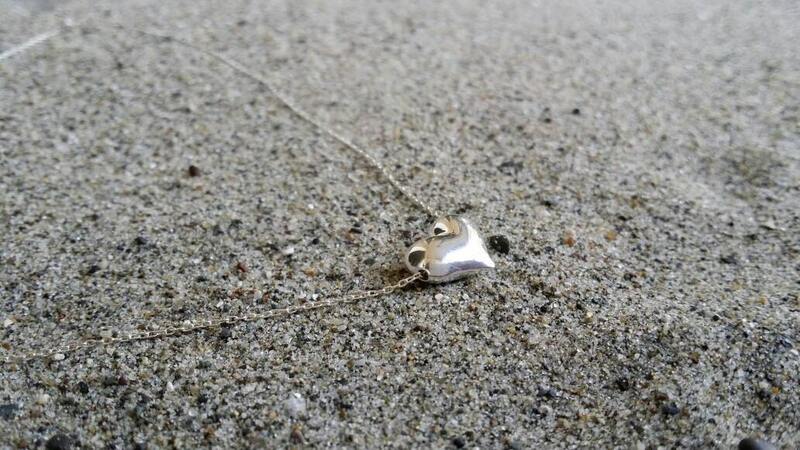 It is approximately 15mm by 11mm with a hollow center to keep it from being too heavy. Shown here in 16 inch length. All items are gift wrapped and shipped without an invoice unless otherwise requested. Please let me know if you would like me to enclose a small card with a message and I will happily do so free of charge! All jewelry is handmade and I guarantee the workmanship and quality of all my products for one year. I use high quality stones and sterling silver or gold filled wire. I guarantee against any tarnishing or breakage for one year. However, if you should encounter such problems during that timeframe, I will gladly replace or repair your item free of charge. Please see my terms and conditions for information on how to request a replacement or repair. Pretty necklace and very fast shipping, thank you! Beautiful and delicate! Love it! 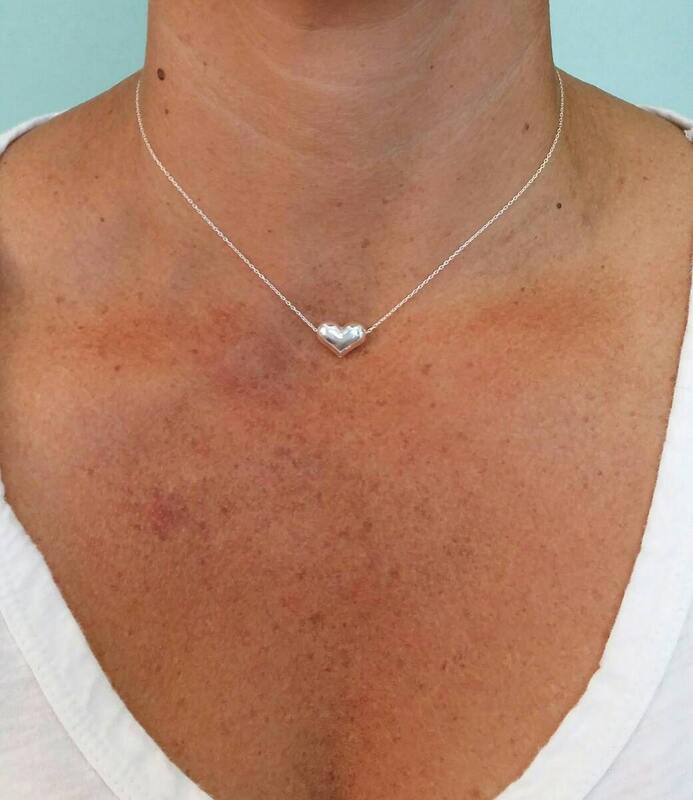 Great service and shipping...adorable necklace!